These true wireless earbuds play streaming audio and can even function like hearing aids. But they still can't justify a seriously steep price tag. Should you buy the IQbuds Boost? Nuheara’s IQbuds Boost are expensive—even at their current street price of $399 ($100 off the MSRP of $499), they still cost lot of money. By comparison, the B&O Beoplay E8, our current pick for best-sounding true wireless earbuds, can be had for $299. That said, $399 (or even $499) isn't exorbitant for a hearing augmentation appliance. In fact, audiologist-prescribed hearing aids often cost thousands of dollars. 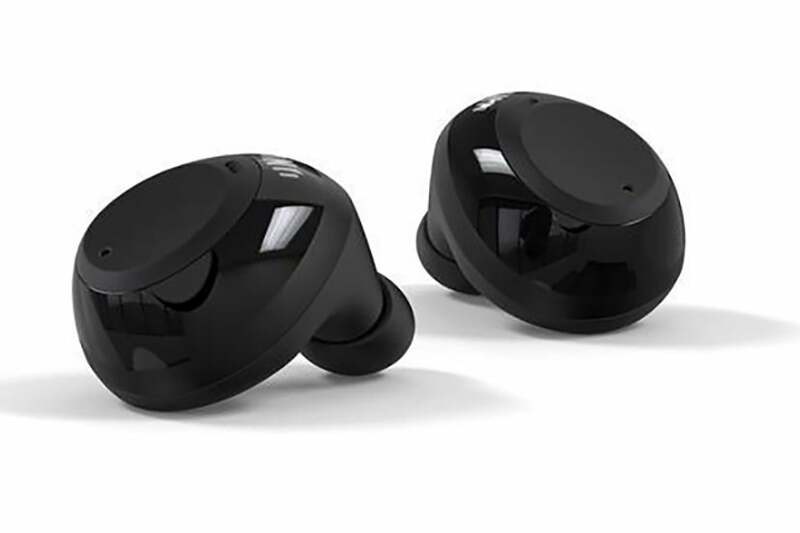 The IQbuds Boost are designed to boost one’s hearing for a fraction of the cost of a traditional hearing aid, making them a tempting purchase for anyone who has trouble hearing, but hasn’t yet committed to rigorous testing and ultra-expensive hardware. Can the IQbuds Boost really replace bonafide hearing aids? And how do they perform as true wireless earphones for music playback? I spent a week listening to the IQbuds Boost for several hours a day to find out. Each IQbuds Boost earbud weighs 0.28 ounces and has a dimension of 0.8 x 1.0 x 0.6 inches. This isn’t svelte for a true wireless earbud, and you’ll immediately notice their heft when holding both earbuds in your hand. When they’re jammed into your skull, it takes a little longer to feel the weight, but you’ll get there. In fact, I found that after an hour of use, the IQbuds Boost became uncomfortable to wear. All that said, everyone’s ears are shaped differently, so your mileage will vary. And should you find the IQbuds Boost intolerable to wear, you can always exercise Nuheara’s 30-day return policy. Comfort aside, I was impressed to find eight different sizes of silicon ear tips included, along with three different sizes of Comply foam ear tips. This made it a cinch to find a set of tips that’d provide a tight seal against outside noise. The Nuheara case is big. Really big. Because the earbuds themselves are really big. 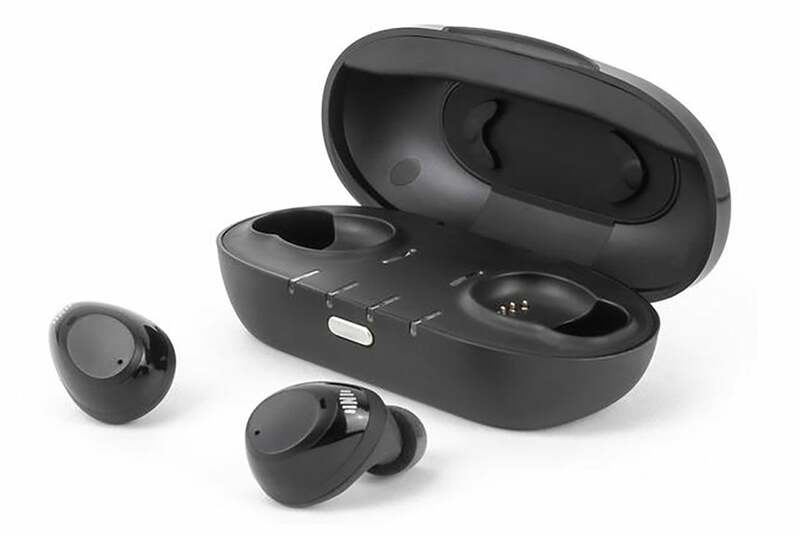 Where many true wireless earphones come equipped with actual control buttons, the IQbuds Boost rely on touch-sensitive pads, and it’s a welcome feature. A gentle tap on the right or left earbud will play or pause your music, activate Siri, change your audio volume or activate the earphone’s audio augmentation capabilities. You can customize the tap triggers for these functions via a free companion smartphone app. The IQbuds Boost are water- and sweat-resistant with an IPX7 rating. That’s good enough keep them alive if you get stuck in a downpour, but you can forget about wearing them in the pool or shower. Large earbuds require a large case, and the one that Nuheara ships with the IQbuds Boost is friggin’ huge. At 4x2x1 inches and weighing in at 72 grams, you can forget about sliding the case into your hip pocket. As half the charm of true wireless earbuds is their portability, this is disappointing. But at least Nuheara makes good use of the case’s beefy dimensions: In addition to the 8 hours of audio streaming or 12 hours of hearing augmentation per charge that the earbuds offer, the 1140mAh battery in the charging case can extend these figures to 20 hours and 32 hours, respectively. In order to use the IQbuds Boost to augment your poor hearing, you’ll need to install Nuheara’s free companion app on your iPhone. Once loaded, you’ll pair the earbuds with your handset and take a hearing test that assesses your hearing. The test lasts about 10 minutes, and is similar to what you may experience when visiting an audiologist. With the earbuds screwed into your skull, you’ll be fed a series of tones at various volumes and frequencies. When you hear a tone, you push an on-screen button. Done. The app then sets up the IQbuds Boost’s audio signature to compensate for the frequencies that you were unable to hear during the test. Once the app has calibrated the earbuds to your personal aural needs, they’re ready to be used. Let’s first discuss sound quality for traditional music playback. Using my audio testing playlist and other music over a 7-day period, I found the Nuheara IQbuds Boost offered better-than-average sound quality, but they weren’t the best-sounding true wireless earphones I’ve used. The earbuds provide an expansive soundstage, with adequate audio separation. For example, the tenor banjo and mandolin in The Tossers’ “Movin’ On” each had their own voice, despite playing the same melody. Unfortunately, lower frequency audio, while lacking distortion even at high volumes, always sounded flat. Naysayers could attribute this lack of bass to my 42-year-old ears, which have been exposed to loud, low-frequency sounds over a lifetime of loud music. But, no! 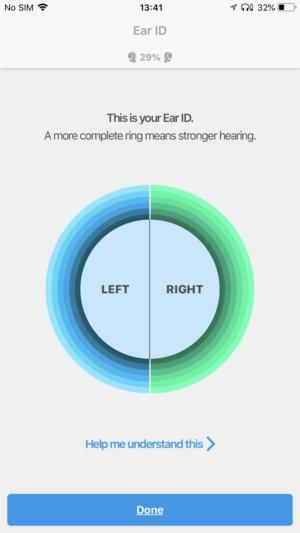 According to the earbuds’ companion app, my hearing is perfect. So, if you love bass-heavy music or are looking for a pair of earbuds to work out with, the IQbuds Boost may not be for you. And here’s another concern: During testing, I experienced infrequent but lengthy signal interruptions. Audio streaming from my iPhone 7 Plus would at first stutter and then stop completely. I eventually discovered the only way to get the IQbuds Boost working again was by placing them back in their case, and power cycling them. Like a number of other true wireless earphones, the IQBud Boost boast “audio transparency,” meaning you can hear what’s happening in the environment around you while you listen to music. And just like those other earbuds, the ambient audio captured by the IQbuds Boost’s microphones sounds, well, off. Silences are amplified into a droning buzz, and with the feature engaged, I could hear myself breathing. Tapping one of the earbuds to change a track results in a thunderous boom. It’s a problem that plagues most in-ear headphones equipped with audio transparency, but in the case of the IQBud Boost, it’s an issue that colors almost all of its audio augmentation features, save one: When you’re not streaming music from your smartphone, the earbuds can be used to amplify the sounds of the world around you, much like a hearing aid. And, indeed, with the IQbuds Boost in my ears, conversations with my wife were louder. I also found that I could listen to the radio at a lower volume, and still hear the evening news. Using the IQbuds Boost’s companion app, you can even customize ambient audio with various scenario-based sound profiles, such as Home, Office and Restaurant. Each profile is designed to suppress different sorts of background noise while boosting the audio levels of others. The amount of sound suppression the earphones offer doesn’t come close to anything offered by a good pair of ANC headphones, but I did notice a small difference in noise levels between each of the app’s presets. No matter which preset I used, however, I was never able eliminate the tin can quality inherent to audio transparency tech—Nuheara’s microphones are simply too small to allow for more realistic audio. On the flipside, I appreciated the IQBud Boost’s ability to pair with Bluetooth-equipped TV sets. TV audio was clear as a bell, and almost always in sync with what was happening onscreen. I can see how these earphones would be tempting, audio warts and all, for someone with impaired hearing. Again, $499 is an absolute steal compared to the cost of many full-fledged hearing aids. And if the IQBuds Boost can give what you need—and relieve you from purchasing exorbitantly expensive hearing hardware—then they’re an incredible deal. That said, iOS 12's LiveListen feature provides an even cheaper hearing augmentation solution than the IQBuds Boost, at least for iPhone users. Live Listen makes it possible to pipe microphone-boosted ambient noise captured by your iPhone a pair of $159 AirPods. So, if you’re hard of hearing, just pop in your AirPods, set your iPhone on the table and, boom, you’ve got amplified audio of the conversations around you. The feature works reasonably well, and a set of AirPods can be had for half of what a pair of IQBuds Boost cost. Beyond the IQBuds Boost’s dubious value, I was unhappy with their firmware updating requirements: You have to download an app to your Mac, as the update can’t be done via the IQbuds Boost’s mobile app. Given that many people don’t even own a computer in this age of smartphones and tablets, this feels like a serious oversight. My disdain for Nuheara’s desktop app ran even deeper when, after multiple attempts, I was unable to download a new firmware version to the earbuds. Even if you get these buds on sale for $399, it’s difficult to recommend the Nuheara IQbuds Boost. They’re not comfortable, and the quality of music playback they provide doesn’t justify their price. Their ability to boost ambient sound is an attractive feature for the hearing impaired, but if you’re an iPhone user, we recommend using LiveListen with a pair of much cheaper AirPods. Sure, an Android phone user may still find value in the IQbuds Boost—but Google could soon release its own version of Live Listen. Bottom line: The IQbuds Boost have a noble aim but just aren’t a sensible purchase.